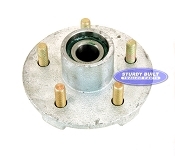 These trailer idler hubs are meant for trailers not using drum brakes. 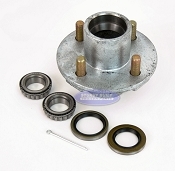 Idler Hubs can be used for trailer without brakes or for boat trailers and land trailers using slip on disc brakes. 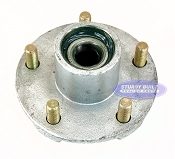 These trailer hubs are available in galvanized trailer hubs, powder coated steel, and stainless steel. 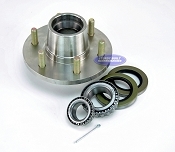 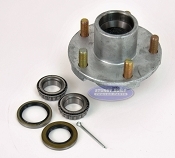 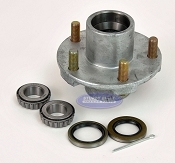 We have Trailer Hubs that include the wheel bearings and grease seals, as well as Pre Greased Hubs that have the Wheel bearings and grease seal already installed and ready to be mounted on your trailers axle.